The next gathering of the Boston/New England Windows Phone User and Developer Groups will be a bit informal, but still very informative. We will meeting on Wednesday, October 17th 2012 starting at 6:30pm at Bison County Grill in Waltham, MA. You can find directions to the location here. While we don't have anything official yet on Windows Phone 8, there is still lots to discuss. We would also like to have a discussion around our group itself moving forward, and all input on this subject will be greatly appreciated. Sorry for the late notice, all. Due to last-minute scheduling issues, we have to cancel our Boston/New England Windows Phone User and Developer Group meeting scheduled for Wednesday, September 19, 2012. We will be looking to schedule our October gathering soon, so stay tuned! Due to a combination of scheduling conflicts and the timing of the Windows 8 / Visual Studio release to MSDN (but still without word on the Windows Phone 8 SDK), this month’s scheduled meeting of the Boston / New England Windows Phone User and Developer Groups (slated for Wednesday, August 15th, 2012) has been cancelled. Our next meeting, scheduled for Wednesday, September 19th, 2012, is still a “go”, however. Stay tuned for more details on this next meeting. The next meeting of the Boston/New England Windows Phone User and Developer Groups will be held on Wednesday, July 18th, 2012 at the Microsoft offices in Waltham, MA (201 Jones Road, Sixth Floor) beginning at 6:30pm. With Microsoft’s announcements regarding Windows 8, Windows 8 RT and Windows Phone 8, there has never been a greater opportunity to develop applications that span the ranges of mobility. However, careful consideration should be taken up front to ensure maximum success. In this presentation, a “top-down” approach will be applied to the decisions around targeting platforms. We will look at business and technical decisions, design considerations and approaches to maximizing the revenue potential between platforms. Thanks to our wonderful sponsor Telerik, we will also have some really great things to raffle off to attendees, so you will not want to miss out. 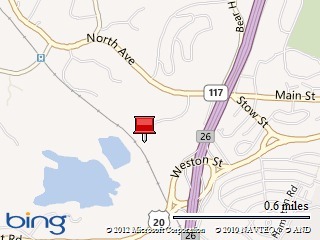 The next meeting of the Boston/New England Windows Phone User and Developer Groups will be held on Wednesday, June 20th, 2012 at the Microsoft offices in Waltham, MA (201 Jones Road, Sixth Floor) starting at 6:30pm. June has become a significant month for Windows Phone, with plenty to talk about. There is news from the E3 game industry conference, Microsoft TechEd North America and even an event earlier the day of our meeting – Microsoft’s Windows Phone Summit. We will be wrapping up all of the news and what it means to both Windows Phone users and developers, both consumer and enterprise. The next meeting of the Boston/New England Windows Phone User and Developer Groups will be held this Wednesday, May 16th, 2012 at the Microsoft offices in Waltham, MA beginning at 6:30pm EDT. Among the items covered this month, we will talk about the latest on the Windows Phone devices front and upcoming events that will likely shed some light on the future of Windows Phone in TechEd and the Windows Phone Developer Summit. Due to unforeseen circumstances, there will be NO BOSTON/NEW ENGLAND WINDOWS PHONE USER/DEVELOPER MEETING TOMORROW NIGHT (APRIL 18TH). We apologize for any inconvenience and will announce our next meeting ASAP. Due to unforeseen circumstances, we will not be holding our scheduled Boston/New England Windows Phone User and Developer Group meeting this coming Wednesday, February 15th. We apologize for any inconvenience.